NEW YORK CITY – History was made at sunset on Wednesday night when Jessica Minh Anh took the first step down the highly anticipated catwalk on the 63rd floor of One World Trade Center. In the accessory sector, America’s very own footwear brand CAT delivered timeless classics with a contemporary twist through rich leathered designs for men and easy - to - wear heels for women. 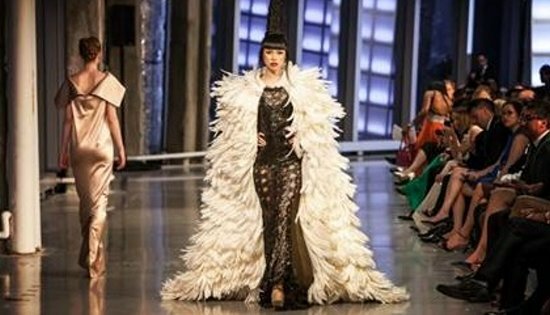 ”Last night’s stunning and inspired fashion show by Jessica Minh Anh demonstrated that One World Trade Center is the perfect platform for creative and innovative people and companies to showcase their work for a global audience,” said Jordan Barowitz, Director of External Affairs for The Durst Organization. The high profile event continued with an exclusive VIP Networking Party where participating designers and guests were treated to world class cuisine’s and beverage collections by French chef Sebastien Pourrat, owner of Cocotte SoHo New York. The open kitchen and bar set up created a special ambiance that matched the grandness of the entire production. J Summer Fashion Show 2014 was supported by W New York – Downtown, Bentley Meeker, Fashion One, Geo Events, Nunzio Saviano, Mehron, Sweets First, Print City, Howard Johnson Manhattan Soho Hotel, and Hollywood Banners. QUEZON CITY – Interior and Local Government Secretary Mar Roxas has called on the youth to play an active role in disaster risk reduction in the face of the worst impacts of climate change. Roxas, vice chairman for preparedness of the National Disaster Risk Reduction Management Council (NDRRMC) told students of Eastern Visayas State University - Ormoc campus on Monday, June 23, that as youth and students, they can help save lives by becoming responsible leaders, whether in school or in the communities where they live in. Roxas, addressed students from the biggest state university system in the region, along with local officials of Ormoc . He was welcomed by no less than EVSU President Dominador Aguirre. Roxas whose challenge to his audience received an enthusiastic welcome, said students need to be champions of disaster risk reduction in their household, community or towns, and be part of the solution to the problem brought about by the worst impacts of climate change. According to Roxas, individually and collectively, student leaders can help enhance disaster preparedness of their household, as well as their community, and be ready against all forms of natural calamities. "Don't be victims. Be a leader. Be responsible. Be part of the solution," he said. He said that as students, the participants can make a difference by choosing not to become passive victims of natural calamities, but responsible leaders championing disaster risk reduction. Roxas said the impact of a devastating typhoon such as Yolanda can be avoided by preparing ahead to reduce the risk of disaster, explaining that over the years, because of climate change, the impact of typhoons have resulted in tragic loss of lives. According to Roxas, the National Government has already put in place a comprehensive disaster prevention mechanism through Project NOAH, which stands for Nationwide Operational Assessment of Hazards, a project of the Department of Science and Technology (DOST). His presentation centered on the new technology that can be used by local officials, students, national agencies, NGOs and anyone in order to make informed decisions about the weather and its hazards to the local community. Project NOAH, he said, can enhance disaster preparedness plans of communities prone to natural calamities such as typhoons, landslides, flashfloods, or even storm surges. “Nasa inyong mga kamay ang kaligtasan ninyo. Ang buhay ninyo at ng inyong kasambahay. Kayo ba ay magiging biktima o isang leader?” he asked. To make the event merrier, he distributed emergency kits to five lucky texters who joined in answering his question on what constituted the best preparedness activities. TACLOBAN CITY – The Philippines portion of the multinational Pacific Partnership 2014 mission is scheduled to begin with an eight-team basketball tournament at the San Jose Regional Health Center basketball court in Tacloban City on July 5. Teams from the United States, Australia, Japan and the Armed Forces of the Philippines will join with a group of local Tacloban City teams in the daylong competition, which is scheduled to take place from 8:00 a.m. – 5:00 p.m. Along with catching all the basketball action, patrons who will attend the free tournament can enjoy the musical styling of the Pacific Fleet Band, which will have its rock group on stage playing a wide variety of pop contemporary and classic hits. The people of Tacloban are encouraged to come out, enjoy the day, and cheer for their favorite team. Meanwhile, The U.S. Navy’s Pacific Fleet Band is scheduled to have its rock band ensemble play a series of three free concerts in July for the citizens of Tacloban as part of the multinational mission Pacific Partnership 2014. The 12-member rock band, which always plays a wide variety of contemporary pop and classic hits, is scheduled to play on the first floor of Robinsons Place Tacloban (Robinsons Mall) July 7-9 from 4-7 p.m.
Members of the public are encouraged to come enjoy the music. QUEZON CITY – Samahan ng mga Ex-Detainees Laban sa Detensyon at Aresto (SELDA) called on lawmakers to investigate the inhuman prison conditions which most inmates, political prisoners and common criminals alike, are subjected to. Amidst the VIP treatment of detained senators Revilla and Estrada who face plunder charges, SELDA challenged the BS Aquino government to comply with the Minimum Standards of Treatment of Prisoners. SELDA is outraged with the double standard the BS Aquino government giving to plunderers while common criminals and political prisoners are suffering from inhuman conditions. “We hear Sen. Revilla complaining about his hot detention cell, with rats and cockroaches. But actually, regular detention cells are far worse than his,” Roneo Clamor, SELDA national coordinator said. “A 3x5-meter cell meant for two inmates is cramped with six to 10 detainees in regular jails. Even the lavatories are used as sleeping quarters,” Clamor described. “Prisoners usually have limited supply of water, suffer from poor ventilation, and receive no proper medical attention,” Clamor continued. Clamor cited the condition of Benny Barid, a political prisoner who has been in and out of the New Bilibid Prisons hospital because of his illnesses. “He is all skinny, as in buto’t balat (skin and bones), because of his chronic asthma. His skin is full of allergies. Instead of releasing him on humanitarian grounds, he remains in the NBP hospital without proper medical attention. He becomes susceptible to more infectious diseases inside the hospital and in their cramped cells,” said Clamor. “Despite the many exposé and complaints on the conditions of jails in the country the BS Aquino government has not done anything to improve the situation. But it has ensured the comfort of plunderers like Janet Lim-Napoles and senators Revilla and Estrada in their own rooms while supposedly in prison,” Clamor said. In a message dated June 8, Eduardo Sarmiento, detained peace consultant for the National Democratic Front of the Philippines (NDFP), shared the plight of the 489 political prisoners detained in different detention centers in the country. “Political prisoners, like common criminals, suffer arbitrary and discriminatory regulations such as curtailment of visiting rights… harassed by corrupt prison guards, who punish them and put them in isolation for no reason,” said Sarmiento. “Worst, the political prisoners are made to face several trumped up criminal charges for practicing their political beliefs which is a right of every person,” Clamor added. QUEZON CITY – The Filipino Liberal Youth (FLY) calls on Navotas Representative Toby Tiangco to stop politicking and instigating instability for Youth Reforms. FLY, being the premiere organization of young liberals today, accounts Rep. Tiangco’s ill- thought accusations regarding the process of choosing the Task Force for Youth Development. Mr. Jyleazar Dela Rosa, Lead Convener and Chairman Emeritus of FLY, alarmed by the statement of Rep. Tiangco, said, "I am troubled on how Rep. Tiangco mustered his facts before accusing the DILG Secretary. His statement is alarming and reflects how the opposition thinks, the allegations especially that of the comparison with “Hitler Youth” is alarming considering its historical basis is very ill, he should review world history. This only means that the opposition will do anything to veer the public away from the reforms this administration has been doing, and it is unfortunate that some politicians like Tiangco and Ridon will use even the youth top push for their political agenda. We are more intelligent and informed as you think, so don't drag us into baseless and pointless issues." This is to answer Rep. Ridon and Tiangco's statement that Mar Roxas and the Liberal Party are using LP exploiting SK vacancies to prepare for 2016 polls. "Rep. Ridon said that Sec. Roxas, through the IRR, instructed the baranggay councils to appoint the members of the new SK Task Force. This is an outrage! If we are going to read the IRR, the process of choosing the SK Task Force starts from the nomination of the youth organizations within the baranggay. After the nomination, the citizens within the baranggay can share their issues and concerns related to the nominees. Then from those issues and concerns submitted by the citizens, there will be a hearing conducted by the Sangguniang Barangay to determine the capability of the nominees. Clearly, the process of choosing the SK Task Force starts from the bottom, from the youth, from the grassroots level. His statements are rather pointless and badly lacked facts." Reforming the Sangguniang Kabataan is one of the most crucial steps of the government to change the political landscape of the Philippines, but for these reforms to be successful, we need the support of all young leaders, including Rep. Ridon. “Instead of baseless accusations, he should be helping us in this step of reformation, unless he wants to put into waste the votes given to him by the Filipino youth,” Executive Vice-Chair Christian Gultia added. “Let's be adamant in looking at those people who want to put color in the transformation that this administration pushes. This country faces too much politicking already, and the youth shouldn't be part of it. We call on Rep. Ridon to show evidence of this accusation, if he can't prove it, then we call for his immediate resignation,” Mr. Dela Rosa furthered. TACLOBAN CITY – Agrarian reform beneficiaries (ARBs) from the severely “Yolanda”-affected agrarian reform communities (ARCs) had bounced back. Seven months after super typhoon “Yolanda” devastated many areas in Region-8, some of the ARBs have gradually recovered from loses and are now back to business. 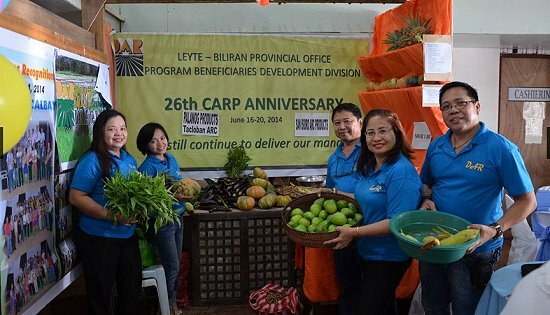 This is what the Department of Agrarian Reform (DAR) highlighted during its kick-off activities on Monday when it opened a mini-trade fair at the lobby of the regional office that lasted for two days only showcasing ARC products as the said agency commemorates the 26th year of implementation of the Comprehensive Agrarian Reform Program (CARP). Farmers’ harvests such as vegetables, sweet corn and peanuts from Tacloban ARC and from other ARCs throughout the region were sold in the two-day trade fair. Their products, according to DAR Regional Director Sheila Enciso, exhibited how the ARBs had bounced back from devastation, considering that many areas here were affected by “Yolanda”. Assistant Regional Director for Program Beneficiaries Development Ismael Aya-ay disclosed that the mini-trade fair reached a total gross sales of more than P25,000 for the said period including those from processed foods and handicrafts. Civil Service Commission Regional Director Victoria Esber was invited too on June 16 and discussed to the DAR employees the “7 Habits of Highly Effective People” to help the latter improve their working attitudes and become more productive. Other activities lined up in relation to this month-long occasion are project turnover and distribution of Certificates of Land Ownership Award (CLOAs). On June 24, two farm-to-market roads implemented under the second phase of the Agrarian Reform Communities Projects (ARCP-2) will be turned over in Daram, Samar, while 148 CLOAs will be handed to its recipient farmers in Catbalogan City on the same day. Early this month, a 3.8-kilometer concreted farm-to-market road was turned over in Kananga, Leyte, while on June 25 another ARCP-2 project will be turned over in Inopacan, Leyte. Enciso said that the celebration culminates on June 27 in Northern Samar but our agency continues to deliver its mandate in improving the quality of life of the farmers particularly the ARBs. Republic Act No. 6657 or the CARL was signed into law on June 10, 1988 by then President Corazon Aquino which took effect on June 15 of the same year. CARP implementation was extended twice in 1998 and 2009 through the issuance of Republic Acts numbered 8532 and 9700, respectively. QUEZON CITY – Interior and Local Government Secretary Mar Roxas today underscored the power of community working together as a people in responding to natural calamities such as typhoon Yolanda. 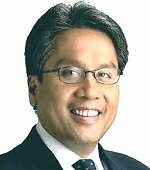 Roxas, vice chairman for preparedness of the National Disaster Risk Reduction and Management Council (NDRRMC) said the nation was dealt with the hardest blow when Yolanda, strongest storm to ever make landfall in history, more than seven months ago on November 8, 2013. “We reeled from its impact, staggered at its effect, but we never fell,” says Roxas. Roxas, who delivered the keynote address during the launch of the Kapit Bisig Laban sa Kahirapan – Comprehensive and Integrated Delivery of Social Services – National Community-Driven Development Program (KC-NCDDP) in Ormoc City on Monday challenged various stakeholders to continue working together as they have shown in the past seven months after Yolanda. The program was highlighted by the signing of the Memorandum of Understanding (MOU) on World-Bank - Asian Development Bank Partnership for the KC-NDCCP led by WB Country Director Motoo Konishi and ADB Country Director Richard Bolt. Launched by the Department of Social Welfare and Development (DSWD), the KC-NCDDP scales up the program which aim to empower communities in targeted municipalities, improve access to services and to participate in a more inclusive local planning, budgeting and implementation. Specifically, the program aims to strengthen community groups and barangay level institutions to better identify and articulate development needs, and manage public resources, financing priority small-scale community sub-projects, and enhancing the capacity of municipal-level government to partner with barangays in responding to priority development needs; and to respond promptly and effectively to an eligible crisis or emergency. The DILG, which serves as project management of the Grassroots Participatory Budgeting Process (GPBP) in partnership with various national and local government agencies, people’s organizations (POs) and nongovernment organizations (NGOs) is encouraging a broader civil society participation in governance by identifying projects and programs that they believe would matters most for their communities. This year, the national government has allotted P20 billion for various anti-poverty projects to be implemented across the country. The projects and programs were earlier identified by POs, NGOs and community-based groups together with local government units (LGUs) during budgeting processes last year. “The Yolanda response showed us the power of community. Beyond just a place where people live, ‘community’ during Yolanda meant ‘people who had, and lived through the same experience finding common unity of purpose and resolve to respond,’” he stressed. According to the DILG chief, the success of Kalahi-CIDSS over the past 12 years showed that a united people, provided with full government support, can and do accomplish miracles. The DILG chief said that the up-scaling of the program through the KC-NCDDP demonstrate the Aquino administration’s commitment to fulfill its social contract with the people, anchored on Pres. Aquino’s “Kayo ang Boss” policy. “Kayo ang boss, sabi nga ni Pang. P’Noy. Ito po iyon. Bilang pagkilala at pagtupad sa kontrata ng pamahalaan sa taong bayan, ibinibigay naming sa inyo ang pagkakataon napangunahan bilang tagapag-plano at bilang mga managers ng recovery, rehabilitation, at development sa pamamagitan ng KC-NCDDP,” he said. Looking through the record history, the victory in Singapore earned UP Diliman the distinction of being the only university to win the Global Final twice, recognizing the world-class talent of future finance professionals in the Philippines and the Asia-Pacific region. UP Diliman last won the Global Final in 2010. April Lynn Tan, CFA, president of CFA Society Philippines said the UP Diliman team has proven again to be solid representatives of the future of our industry. "The team's victory is an impressive feat as over 800 universities worldwide vied to make it to the finals and brings great honor to our country. We thank the team's mentor and teachers who guided the team toward success. These aspiring financial professionals are the agents of the next era of finance – one of integrity, stewardship, and professional excellence. Through their strong leadership, knowledge, and ethics, we can move closer toward a more trustworthy finance industry," said Tan. The UP team was composed of Geoffrey Archangel Bautista, Diego Mikhail de Ocampo, Nigel Williamson Lee, Corrine Francesca Reyes, and Miguel Alfonso Solidum and presented a buy recommendation on Meralco and defended their recommendation before an international panel of judges. Raymund Abara, CFA, of Vicsal Investment Inc. served as mentor, while Professor Daniel Vincent Borja served as faculty advisor. "We are very honored to share this achievement with the Philippine finance community. Our rigorous preparation every step of the way has helped us learn what it takes to excel in the finance profession. Financial skills are important, but so too is adherence to the highest ethical standards," said Professor Borja. Commenting on nurturing financial professionals, Mr. Hans B. Sicat, President and CEO of the Philippine Stock Exchange (PSE) said, "The PSE is committed to providing continuing education to market participants and investors. As such, it commends the CFA Institute for its efforts in supporting the development of the next generation of financial professionals through the Research Challenge. The future of investment research looks even better when students are exposed to the excellence and ethical standards observed by CFA charterholders, and the team from the UP Diliman is to be congratulated for being the best in the field." The CFA Institute Research Challenge is an annual educational initiative that promotes best practices in equity research through hands-on mentoring and intensive training in company analysis and presentation skills. Throughout the course of the competition, which requires hundreds of hours of preparation, participants receive mentoring from an industry professional as they analyze a publicly traded company, write a professional research report, and present their research results and recommendations to a high-profile panel of experts. Ethics and professional standards are at the core of the process and all participants are held to the CFA Institute Code of Ethics and Standards of Professional Conduct. Points are awarded to teams on the basis of their investment case, poise, and ability to answer the judges' questions.